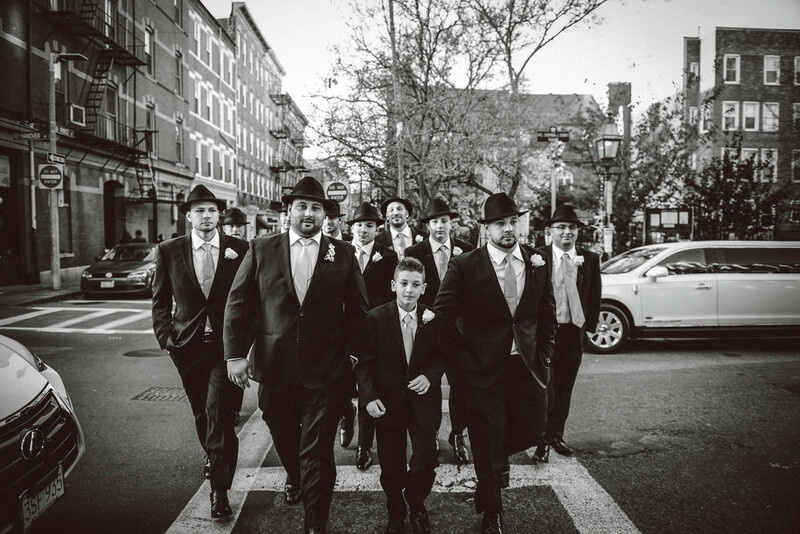 It's always great to be able to shoot a wedding in our own neighborhood, The North End of Boston. Even better when you get to work with a couple Like Stefanie and Giuseppe. 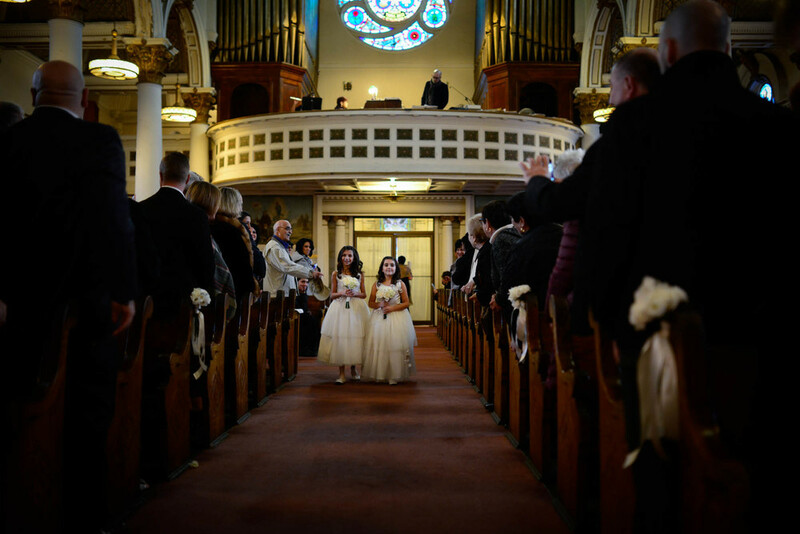 I couldn't believe the turnout at Saint Leonard's Church, with barely an empty seat. We got to shoot for a few minutes on the streets of North Square and Stefanie was amazingly brave, shooting outside on what turned out to be a cold and blustery day. Then on to the Seaport Hotel for a fantastic reception including probably the best Sinatra band I've ever heard. 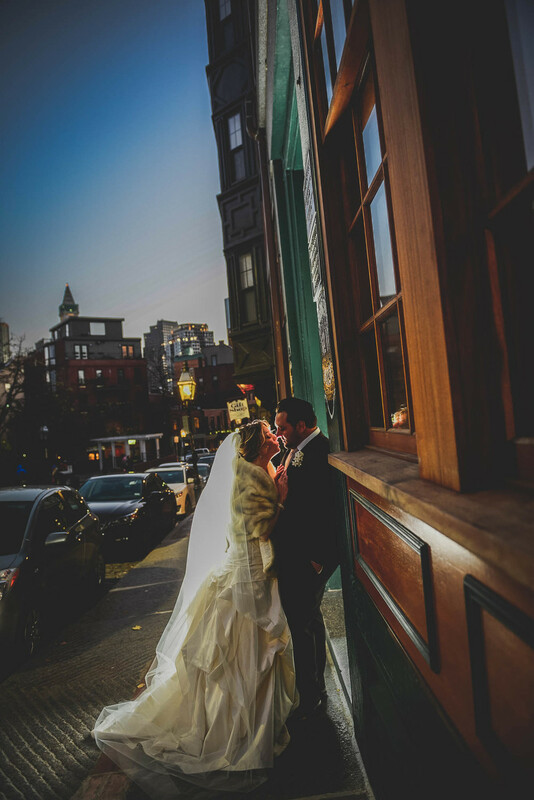 We had a wonderful time and so much fun sharing Stefanie and Giuseppe's Boston Wedding day. 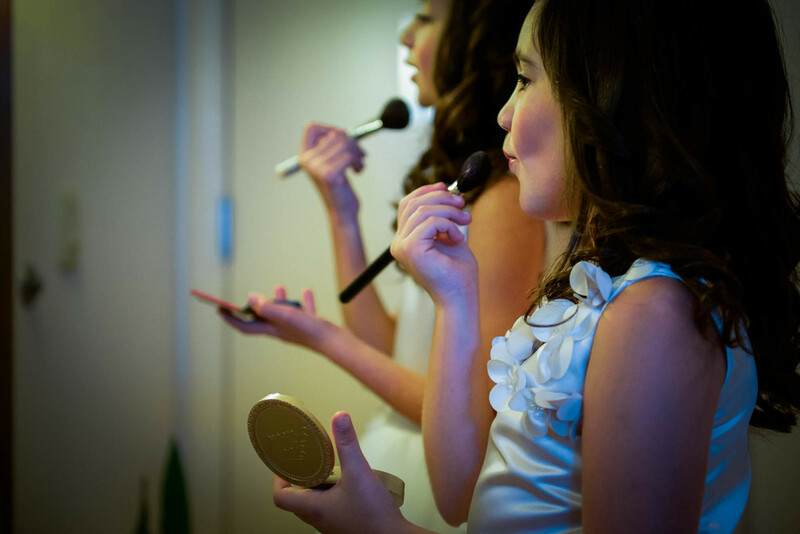 Here are a few sneak peeks and the same day edit slideshow we created for them on the wedding day. Enjoy!